How well do you know Guns N' Roses? 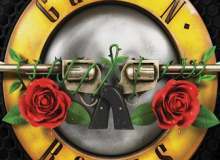 I enjoy listening to and playing Guns N Roses. When I play live I usually play 1 or 2 songs of them at least. I have a passion for the band and I wanted you to figure out if you did aswell. What is Slash's full/real name? Why was Steven Adler fired from GnR? What is the song 14 years (Use your illusion II) about? Which bands were GnR formed by? How many times has the band changed it's group members? What was the bands first tour called? Early in their career where did the band live? What is Axl's real name? What does Slash consider the worst song of the band? Quiz topic: How well do I know Guns N' Roses?